Resources > Local Guides & Histories > Local Guides & Histories: Railroads in Texas from Fort Worth and Beyond! Local Guides & Histories: Railroads in Texas from Fort Worth and Beyond! Early settlers in Texas encountered some transportation challenges due to the geography of this region. River bottoms were prevalent along the Gulf Coast and throughout eastern and southern regions of the state. The rivers in Texas were really not sufficiently deep to enable navigation by steamboat throughout every month of the year. If roads even existed, they were often impassable due to weather conditions. The state tried to resolve these problems by improving rivers and building plank roads. It wasn’t until the expansion of railroads hit Texas that transportation improved for this state. A lack of natural facilities for travel made it very difficult for people to navigate their way through Texas. The Missouri, Kansas, and Texas Railway Company contracted to extend their railway line from Denison to Greenville in 1880. In 1871, the Waco and Northwestern Railroad arrived in Waco. The Texas and Pacific Railway Company arrived in Abilene, Midland, Odessa, and Sierra Blanca in 1881. The Railroad Commission of Texas was established in 1891. The Texas Rail Road, Navigation, and Banking Company was chartered in 1836. The purpose of this company was to build railroads throughout the state. This company had the backing of some of the most prominent citizens of Texas. However, many Texans were suspicious of the company’s motives. This discord resulted in the dissolution of the company by 1838, without it ever having laid a single rail. Other railroad charters were created in the following years; however, none of these companies were able to move forward with railroad construction. Finally, the Buffalo Bayou, Brazos, and Colorado Railway Company came to be in 1850. Construction for the railway began in 1851, and the first portion of track opened in 1853. The Galveston and Red River Railway Company was chartered in 1848, but this company did not break ground for its railway until 1853. In 1856, the first segment of track was opened to the public, as the railroad’s name changed to the Houston and Texas Central Railway Company. New railroad companies were started over the ensuing years, and by 1861, nine companies were active and approximately 470 miles of track existed in Texas. Each railway company was active for only a short time, but the contribution of each company was important for furthering the progress of railroads in the state of Texas. Many early railway charters failed because they could not fulfill the requirements of the charters. The first tracks in Texas were laid in 1852. Track connected Fort Smith and the Rio Grande. The Buffalo Bayou, Brazos, and Colorado operated the first railroad in Texas, with track connecting Harrisburg and Stafford. Even with the start of the Texas Rail Road, Navigation, and Banking Company, Texas had fewer than 500 miles of railroad in 1870. Texas was unable to support the construction of early railroads. Therefore, financing was provided by investors from the eastern United States and from other countries. Texas received financing assistance in the form of bonds. As incentives for this financing, Texas offered loans and land grants. In 1854, a land grant law was passed that gave authorization for 16 sections of land for every mile of track. Texas maintained this law until 1869, when land grants were outlawed. By this time, years of use during the Civil War without maintenance had led to serious issues with the condition of the railroad tracks throughout the state. Some sections of track had to be closed, and other sections were rerouted. By about 1867, new construction was getting underway. During the 1870s, more progress was made, and track work moved forward at a greater pace. An amendment repealed the land grant law in 1874, and land grants were legal again until 1882. At that time, a lack of unappropriated vacant land forced the end of land grants. After the Civil War, the Washington County Rail Road Company, the Eastern Texas Railroad Company, and the Texas and New Orleans Railroad Company were working in Texas. Other railway companies tried to remain active but failed. Railroads were instrumental in huge economic growth for Texas in the late 19th century. By 1869, track that would include the Frisco line was being built in Texas. An inspection of the railroad by a state engineer had to occur before state lands could be given to a railroad company. A Houston and Texas Central Railroad agent signed a contract with a San Francisco labor contractor for 300 Chinese workers in 1869. Railroads arrived in Fort Worth in 1876. 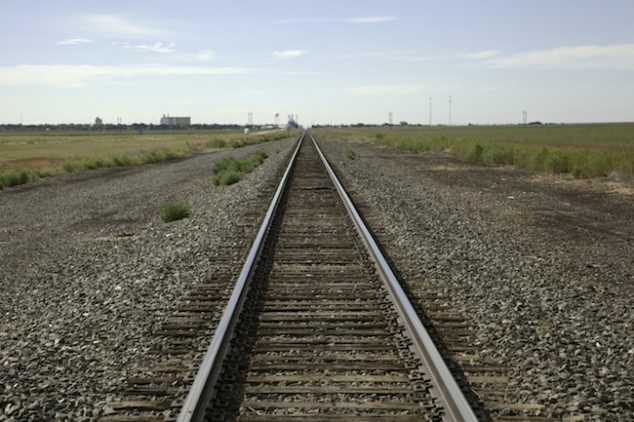 The railroad mileage in Texas was 2,440 miles by the end of 1879. Eastern Texas had extensive railroads, but western Texas was not as developed. The next decade saw significant expansion, with the mileage jumping to more than 6,000. Two transcontinental routes even crossed the state at this time. The Fort Worth and Denver City Railway Company connected Fort Worth with the Texas/New Mexico border. Jay Gould was an active participant in the railway companies during the 1880s. Gould controlled several different railway companies for a number of decades. Corruption was an ongoing issue as powerful railway companies worked behind the scenes to control lawmakers and government. Rail reform fueled the election of James S. Hogg, who was elected governor of Texas in 1890. Hogg created the Railroad Commission in 1891. The Texas and Pacific Railway Company received permission to build tracks between Marshall, Texas, and San Diego, California. Congress passed the Interstate Commerce Act in 1887. Railroads reigned as the most prevalent form of transportation in Texas between the 1870s and 1940s. The Texas Pacific Railroad route enters Arizona at the eastern state line. Railroads in El Paso between 1881 and 1882 turned the city into a more modern area. Although building continued, there were large areas of Texas still without track. Railway mileage was at 17,078 by 1932. At this time, three separate systems controlled about 70 percent of the railroads in Texas. In 1936, the Burlington-Rock Island Railroad Company unveiled the first diesel passenger service, and other companies followed suit a short time later. Initially, travelers utilized these passenger trains extensively. However, improved roadways and the ability to travel by air resulted in a decline by the 1970s. Texas boasts the most railroad mileage of any other state in the United States, serving a variety of industries, including home remodeling and home plumbing companies. Texas also has the most railroad employees in the nation. Coal, agricultural products, and chemicals make up some of the railroad tonnage moved in Texas. Railroad deregulation was responsible for new freedoms for railway companies and significant changes in the railroad business. The 1,500 railroads operating in the United States in 1917 controlled about 254,000 miles of track. Rail access to Natchitoches finalized with construction of the Texas and Pacific Railway Depot in 1927. The Texas and Pacific Passenger Station was an iconic building in Fort Worth. Rock Island’s diesel train was called the Texas Rocket. To expand track from Fort Worth to Houston and Galveston, the Colorado and Southern Railway purchased the Trinity and Brazos Valley Railway Company in 1905. I am a steam hobbyist ,and read with extreme interest thru your article…. You left out the BIGGEST part of Texas Railroad….industrial railroad.Much of Railroad history of the center of Eastern Texas(what is now about 20million acres of state and national forest ). Any rate,the biggest industry in East Texas was Timber,but alas river bottoms and marshland was if any understated on the roads in your article.In the 1880’s you needed to move 500 to 1000 tons of timber a day.To meet the needs of forestry and lumber industry.Few of the roads had bridges over much of anything except creeks,and the ferries and river traffic were not up to that kind of travel .So the sawmills,would move lumberjack camps out the company timber stands.You mention the names of many of the “mainline” companies for railroading.But failed to mention that in areas like Lufkin,Texas(a town that was built because of the railroads) the bread and butter of those mainline railroads was “service contracts” for 7times as many miles of industrial rails,mostly sawmills and sawmill lumberjack camps.The “service contracts” averaged out to the railroad would sell an engine to the sawmill…..handle whatever level of service the sawmill could not handle.Be it maintenance of the engines or furnishing track laying equipment and services.So you would go the roundhouse and see 1 or 2 engine for the “mainland” and rest of roundhouse was full of engines from the area sawmill in for service calls….in proportion to numbers of miles of rails being used at that time.This happened all the way to about 1965 when the last log train bit the dust.And the roads were finally being built to support log trucks as we know them today,That is also the reason that when you are hobby steaming today…Seattle and Portland(both of them on opposite coast) might be building steamboat,Detroit,California, and the northeast might be building steam cars.But Texas is into model steam trains like the ones that once roamed timber forest with Shay,Nikita,Mogul,etc.Building mobile tracks like a really big Lionel train set with flatcar length track sections.To this day,you can still the log train bed running thru the forest over 100 years later for upward of 100mile of short line to that log camp/town that don’t exist anymore.